Springfield, Mass. 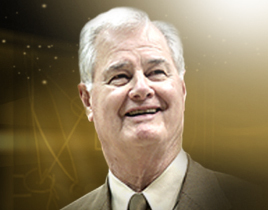 – Announced today in the birthplace of basketball, Springfield, Massachusetts, Michael H. Goldberg, the long-time Executive Director of the National Basketball Coaches Association, and New England coaching legend Donald “Dee” Rowe have been selected by the Naismith Memorial Basketball Hall of Fame to each receive the coveted John W. Bunn Lifetime Achievement Award in 2017. The Bunn Lifetime Achievement Award was instituted by the Board of Trustees of the Basketball Hall of Fame in 1973 and is the most prestigious award presented by the Hall of Fame outside of Enshrinement. Named in honor of Hall of Famer John W. Bunn (Class of 1964), the first chairman of the Basketball Hall of Fame Committee who served from 1949-1964, the award honors coaches, players and contributors whose outstanding accomplishments have impacted the high school, college, professional or International game. 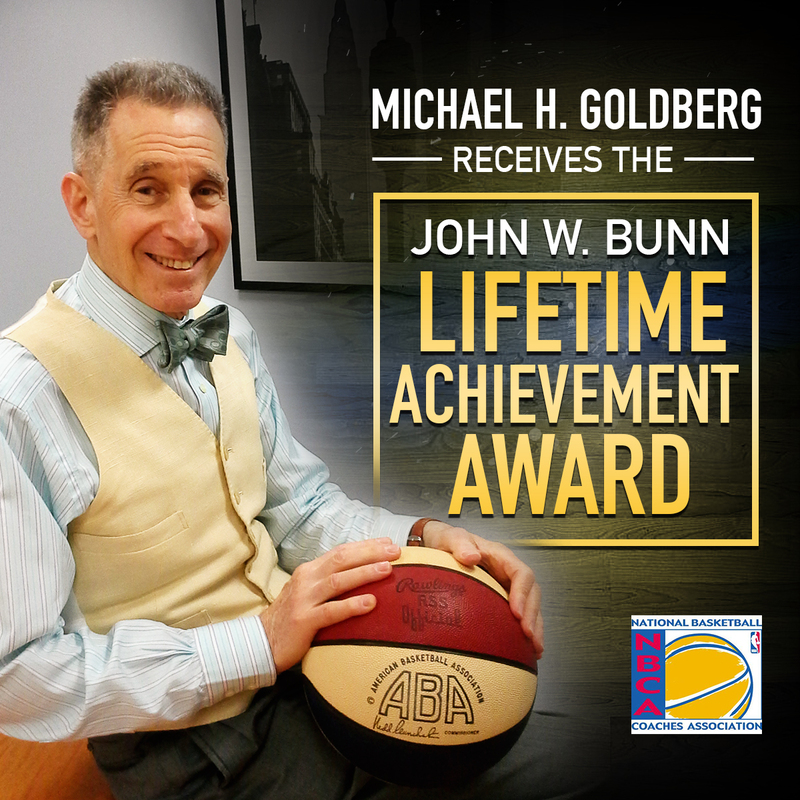 A graduate of New York University and St. John’s University School of Law, Michael H. Goldberg has served as the Exectutive Director of the National Basketball Coaches Association since 1980. 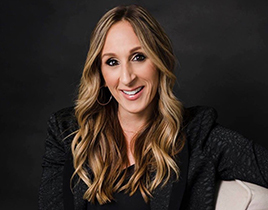 He assisted in gaining vastly increased retirement funds and disability insurance for the National Basketball Association Coaches, and in partnership with the NBA, many unique marketing opportunities for NBCA members. Prior to joining the NBCA, Mr. Goldberg was a Branch Chief for U.S. Securities & Exchange Commission, as well as General Counsel for the American Basketball Association where he guided the League, along with its late Commissioner Dave DeBusschere, until its merger with the NBA in 1976. Through National Media Group Inc., the agency he founded, Mr. Goldberg has become one of the most well-respected figures in the business of sports marketing, working over the years with a wide variety of prominent corporate sponsors and licensees to promote their products and services through sports and entertainment partnerships. His agency also played a key role in the growth of the sport of basketball, including the international game, by organizing the Gatorade World Coaches Clinic program for the NBA, as well as launching the highly successful NBA/FIBA McDonalds Basketball Championship. Throughout his long career, Mr. Goldberg has been a respected leader, mentor and friend to the members of the NBA community and championed the coaches of the NBCA with heart and humor. Donald “Dee” Rowe, a native of Worcester, Mass., played scholastically at Worcester Academy and during his collegiate days at Middlebury College (1952). He also earned a M.Ed. at Boston University in 1953. Mr. Rowe returned to his high school alma mater, where for 13 years he served as Director of Athletics and Head Coach of Men’s Basketball and Baseball at Worcester Academy, winning nine New England Prep School Basketball Championships. Partners of Americas Exchange Program throughout Brazil, the 1976 U.S. Olympic Basketball Trials, and serving as Assistant Coach of the 1980 U.S. Olympic Team that ultimately boycotted the games in Russia. In 1978, after stepping down as head coach, Mr. Rowe launched the fund-raising arm for UConn Athletics and for the next 13 years became a national leader in collegiate athletic fund-raising, generating millions of dollars. In 1979, he played a pivotal role in UConn’s joining of the Big East Conference and he served on the search committees that brought Hall of Fame Coaches Geno Auriemma and Jim Calhoun to Connecticut. Since his official UConn “retirement” at the end of calendar year 1991, Dee Rowe has remained actively involved at the school in his emeritus role as Special Adviser for Athletics. Over the past 60 years, Dee Rowe has had a tremendous impact on the game he “fell in love with” as a third grader.